Erasmus+ is the EU programme 2014-2020 for Education, Training, Youth and Sport. Erasmus+ brings together seven existing EU programmes in the fields of Education, Training, and Youth; it will for the first time provide support for Sport. Erasmus+ will support transnational partnerships among Education, Training, and Youth institutions and organisations to foster cooperation and bridge the worlds of Education and work. For detailed information please visit http://ec.europa.eu/programmes/erasmus-plus/index_en.htm. Use of same quality instruments. Principles of the Charter will apply. 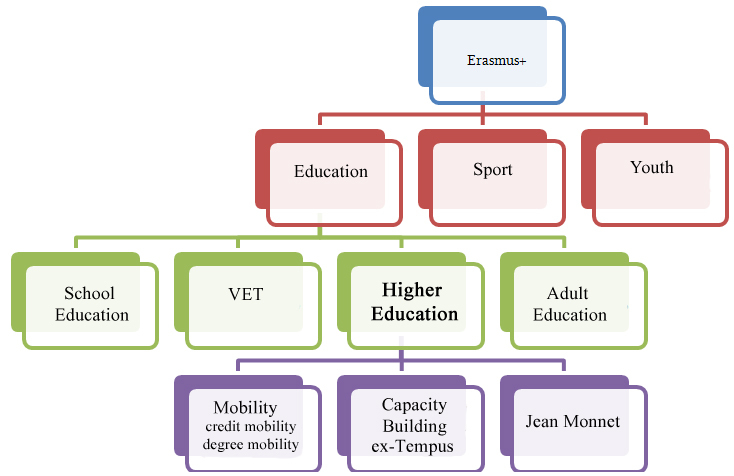 To ensure high-quality mobility activities with maximum impact on the students, the mobility activity has to respond to student degree-related learning and personal development needs. The study period abroad must be part of the student's study programme to complete a degree at a short cycle, first cycle (Bachelor or equivalent), second cycle (Master or equivalent) and third or doctoral cycle. Erasmus+ provides teaching opportunities for the teaching staff of higher education institutions. Training opportunities are also available for teaching and non-teaching staff employed in an higher education institution. Teaching: this activity allows HEI teaching staff or staff from enterprises to teach at a partner HEI abroad. Staff mobility for teaching can be in any subject area/academic discipline. In the case of teaching assignments universities in programme and partner countries must have signed an inter-institutional agreement. Activities of staff undertaking a teaching assignment should be integrated into the curriculum of the receiving institution. Training: this activity supports the professional development of HEI teaching and non-teaching staff in the form of training events abroad (excluding conferences) and job shadowing/observation periods/training at a partner HEI, or at another relevant organisation abroad. The sending institution and the receiving institution must have agreed on the programme of the activities to be undertaken by the visiting staff member (Mobility Agreement) prior to the start of the mobility period. Degree mobility is opportunity for students around the world to benefit from Joint Master Programmes of excellent quality offered by a consortium of EU/non EU Universities. A Joint Master Degree (JMD) is a high-level integrated international study programme of 60, 90 or 120 ECTS, delivered by an international consortium of higher education institutions (HEI) and - where relevant - other educational and/or non-educational partners with specific expertise and interest in the study areas/professional domains covered by the joint programme. All participating HEIs established in a Programme Country must be master degree-awarding institutions and the corresponding degrees - covering the entire study programme of the JMD - must be fully recognised by the competent national authorities in the countries where these HEIs are established. The successful completion of the joint master programme must lead to the award of either a joint degree (i.e. one single diploma issued on behalf of at least two higher education institutions from different Programme Countries and fully recognised in these countries) or multiple degrees (i.e. at least two diplomas issued by two higher education institutions from different Programme Countries and fully recognised in these countries). 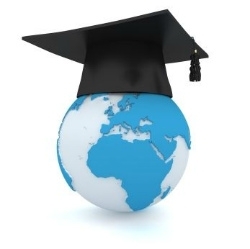 Besides this core group of degree awarding HEIs, other consortium partner HEIs from Partner Countries can be involved in the award of joint or multiple degrees. JMD include a mandatory study period in at least two different Programme Countries. Capacity Building Projects continue activities of a Tempus programme, focusing on reforms, institutional collaboration and exchange of practices / experience among peers. Joint projects: these help higher education institutions from partner countries to develop, modernise and disseminate new curricula, teaching methods or materials, as well as to boost quality assurance and governance of higher education institutions. Structural projects: to develop and reform higher education institutions and systems in partner countries; to enhance their quality and relevance, promote regional cooperation and increase convergence. In certain partner countries neighbouring the EU, capacity-building projects will also be able to include a mobility strand targeted at students and staff from the institutions involved in the project. Institutions from the regions mentioned above can submit a proposal for a capacity-building project under an Erasmus+ Call for Proposals. Strategic Partnerships offer the opportunity to organisations active in the fields of education, training and youth, as well as enterprises, public authorities, civil society organisations active in different socio-economic sectors to cooperate in order to implement innovative practices leading to high quality teaching, training, learning and youth work, institutional modernisation and societal innovation. Erasmus+ offers great flexibility in terms of activities that Strategic Partnerships can implement, as long as the proposal demonstrates that these activities are the most appropriate to reach the objectives defined for the project. - facilitate the exchange, flow and co-creation of knowledge. For what concerns the Strategic Partnerships and the Knowledge Alliances, opportunities for Partner countries are very limited. The need to demonstrate the added value (i.e. 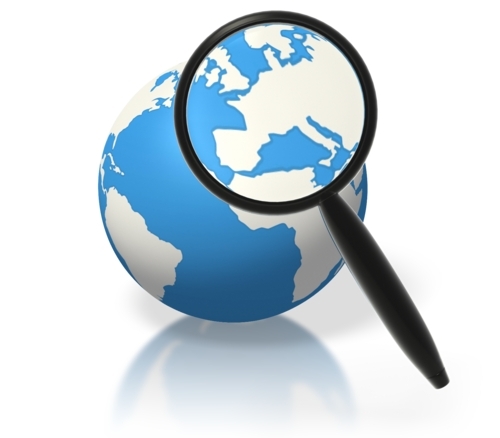 that a particular expertise cannot be found in Europe) of Partner Countries is a passing factor. A Jean Monnet Chair is a teaching post with a specialisation in European Union studies for university professors or senior lecturers. Only one professor may hold the Chair and must provide a minimum of 90 teaching hours per academic year. A Jean Monnet Centre of Excellence is a focal point of competence and knowledge on European Union subjects. The academic responsibility of a Centre must be assumed by a Jean Monnet Chair holder. A Jean Monnet Centre of Excellence gathers the expertise and competences of high-level experts (including Jean Monnet Chairs and/or Jean Monnet Module holders) and aims at developing synergies between the various disciplines and resources in European studies, as well as at creating joint transnational activities and structural links with academic institutions in other countries. Support to institutions: Jean Monnet supports institutions that enhance teacher and training activities on European Union subjects at the postgraduate level and/or for other relevant stakeholders. It also fosters activities aimed at elaborating, analysing and popularizing European Union subjects and their teaching. Support to associations: Jean Monnet supports associations that have as their explicit purpose to contribute to the study of the European integration process. Such associations should be interdisciplinary and open to all interested professors, teachers and researchers specialising in European Union issues in the relevant country or region. They should be representative of the academic community in European Union studies at regional, national or supranational level. Jean Monnet Projects support innovation, cross-fertilisation and the spread of European Union content. These projects will be based on unilateral proposals - although the proposed activities may involve other partners - and may last between 12 and 24 months.